Save time and gas with these amazing free tools at your disposal on your next treasure hunting adventure! 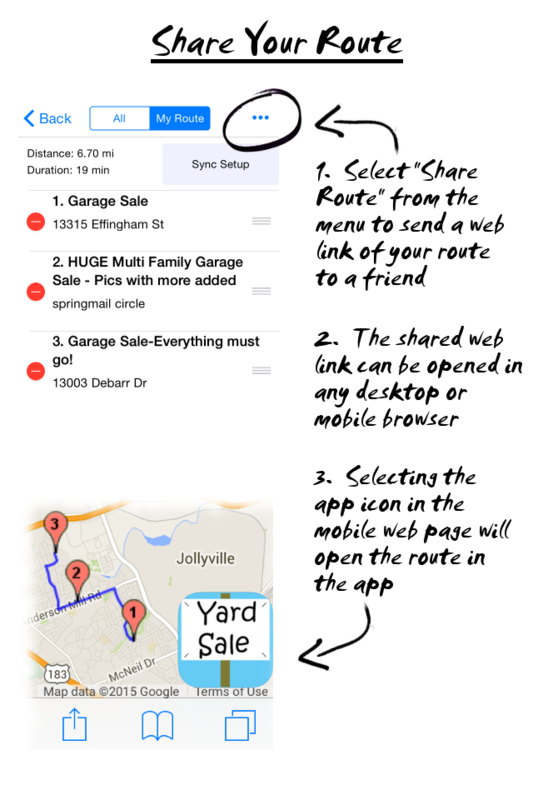 The “My Route” feature is one of the most powerful tools in the Yard Sale Treasure Map toolbox. In fact, it was this concept that originally started the idea for this app’s creation. I wish I had a way to quantify how much time and gas has been saved by users over the years because of the route optimization feature. The concept is simple: add the sales to your route that you are interested in visiting, then re-order your markers as necessary (manually or with optimization). On sale day select the first sale marker, hit the Navigate button, and begin your quest for treasure! 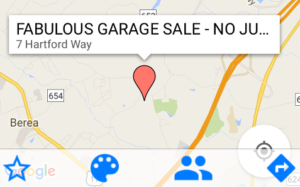 Search for sales on the Yard Sale Treasure Map app and star any sales you are interested in visiting. 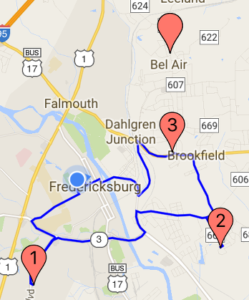 As each sale is starred, blue route lines will be drawn on the map to show the Google-based street navigation for your entire route. 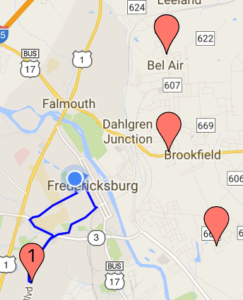 While the map displays your route using numbered markers and blue route lines, you can also view your complete route in list format by visiting the My Route tab. Here you can see the total driving distance in miles as well as the estimated road time is will take to drive the route. 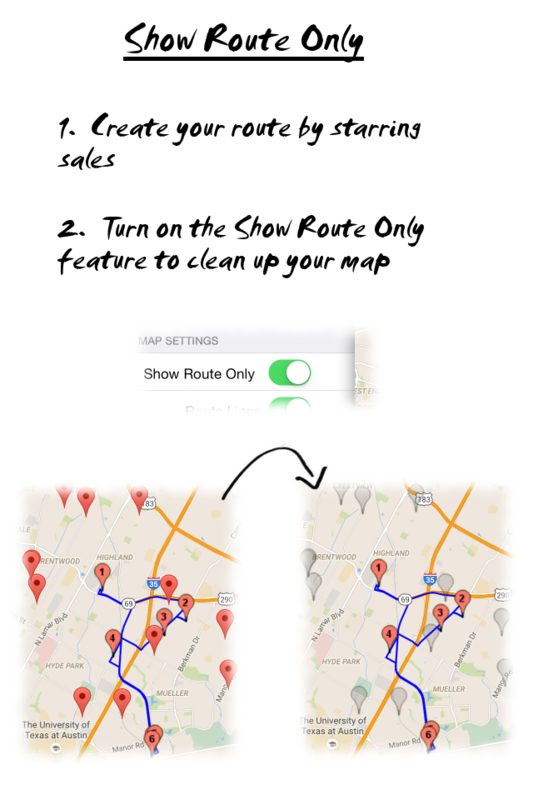 Removing a sale from your route is accomplished by un-starring the sale or by deleting the sale from your My Route list. 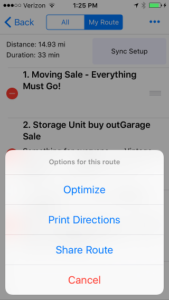 To delete a sale from the My Route list on iOS select the red – button. To delete a sale on Android long press the sale then select Yes in the confirmation dialog. 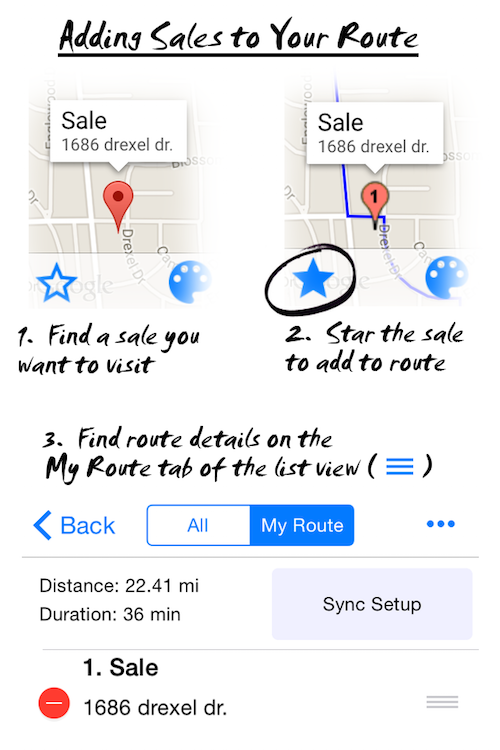 The My Route list view provides the ability to rearrange and remove sales from your route. It is recommended that you fine-tune your route order before starting your treasure hunt. This task is easiest on a tablet device because seeing the My Route tab and the map at the same time makes your changes more clear. When your route order is updated the driving distance and duration are also updated. 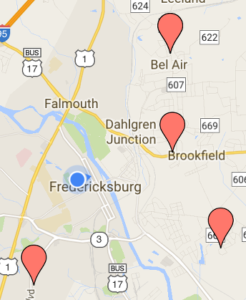 Each sale in your route can be dragged into the order you want. Simply press and drag the sale upward or downward in your list, then release your finger to set the new route order. in the My Route view the menu provides an Optimize Route option which finds the fastest navigation to the first 8 stops in your route. 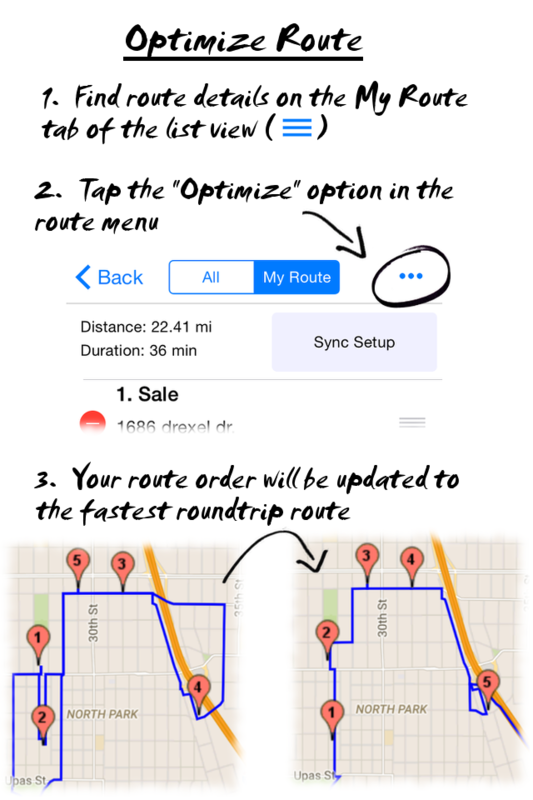 Selecting this option will automatically re-order your route. This feature is limited to optimizing 8 stops or less. For longer routes it is recommended to use a combination of drag to re-order and optimizing. First, use the drag-to-reorder technique to put the sales into a rough order that is somewhat sequential. Next use the optimize feature to find the fastest path to the first 8 stops. During your treasure hunt when you reach the 7th or 8th sale, delete the previously visited sales from your rout, then re-optimize to calculate your path to the remaining sales. 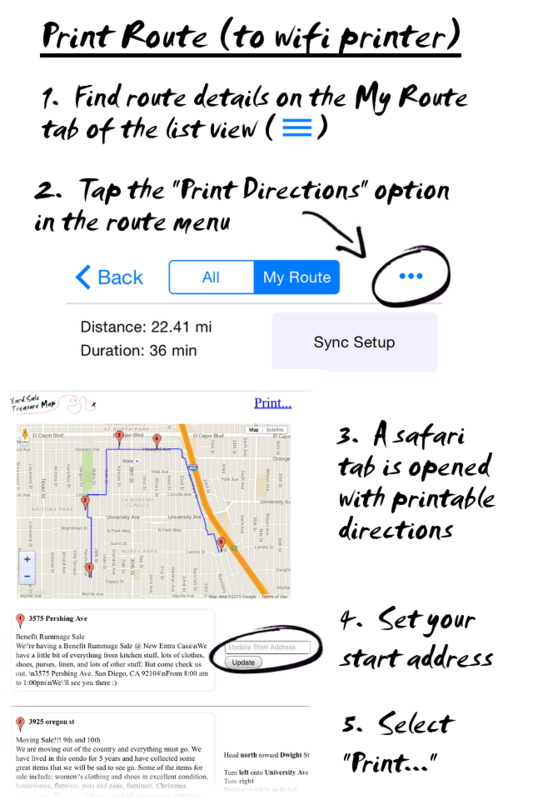 If you prefer paper directions use the Print Directions feature to generate formatted printer-friendly directions. Directions are generated as a webpage so the directions URL can be copied and shared as well, which may come in useful if a wireless printer is not available to print directly from your mobile device. Do you yard sale hunt as a team? This app has you covered! Share a route as a URL using the Share Route feature. This URL opens a custom webpage of the shared route and can be viewed in any browser. The route can be imported into another user’s app by simply pressing the app icon at the bottom right or the custom webpage. 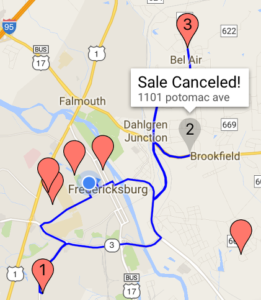 Cancelled Sale Notification – The sales in your route are refreshed more often than the rest of the map. 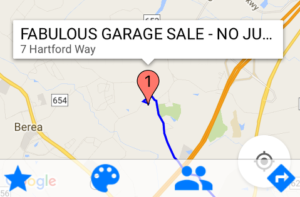 When a nearby sale is found to be cancelled the map will let you know. Show Route Only – Paid subscribers have access to the Show Route Only feature. Once a route is created, enabling this feature makes all non-route markers “hidden” to clean up the map. Hidden markers are still slightly visible and can be interacted with so this will not prevent you from missing a new nearby sale. Plan your next yard sale treasure hunt with Yard Sale Treasure Map! My question is about the old yardsale map. I use it every week to transfer the sales from my iphone. PLEASE DO NOT DISCARD IT! There are probably more people out there who need the larger map and are willing to put in the extra work. The old page is still there! There’s a link at the bottom of the website to Legacy Site. 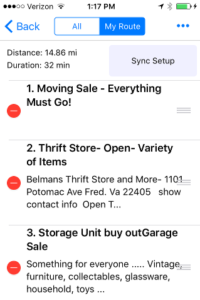 What does the Yard Sale Treasure Map application cost? How can it be downloaded from this site? The app can be downloaded for free from the Apple App Store (for iPhone and iPad) and from the Google Play Store (for Android). Access to advanced features is a $1.99 yearly subscription. 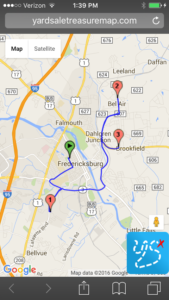 Can you add stops to the route from yard sales you’ve seen in the local paper? There is a subscription feature to add sales from your local paper. There is a problem with this feature on the Android side that I am resolving in the next few days. 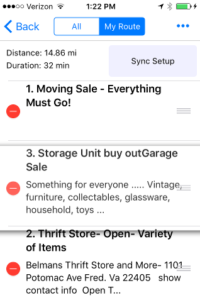 I love this app and use it on my yard sale treasure hunts every Saturday. It would be great if the title and the flags that pops up could both include the start time. Also move it above the map so you don’t have to scroll down to see it. Thank you!